The Lowe Alpine Altus 42:47 is a medium-sized backpack and designed with a hut-to-hut tour in mind. Read the review or watch the video! The Lowe Alpine Altus 42:47 is part of a big new Altus family. 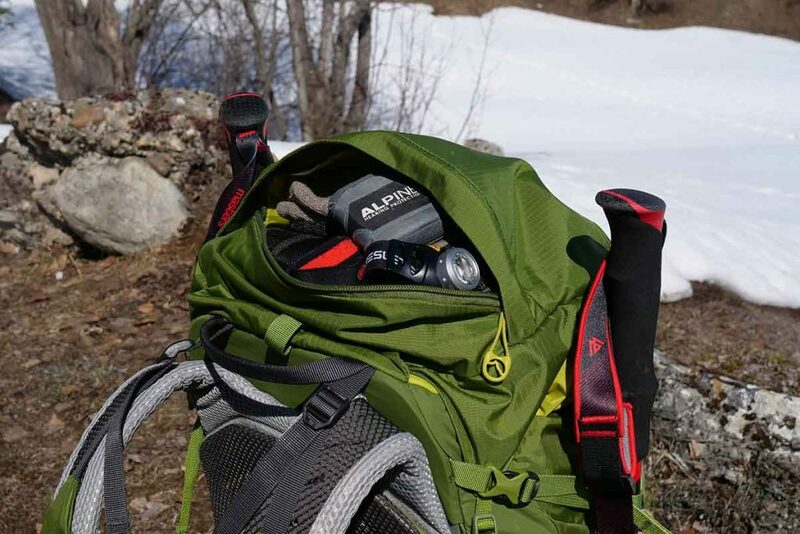 The smallest pack in the family is the Altus ND30. ND means ladies Lowe Alpine slang. The 32 is the smallest pack for men. The ND40: 45 and the 42:47 – tested here – are the teenagers of the family while the ND50: 55 and the 52:57 are the full-grown adults. 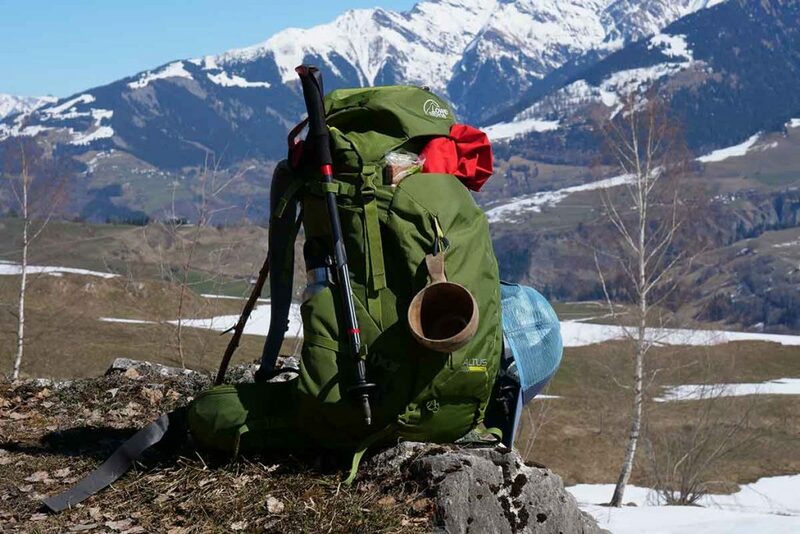 The Lowe Alpine Altus 42:47 is a medium-sized backpack and designed with a hut-to-hut tour in mind. The Altus 42:47 has a main compartment with volume of 42 liters but it can be extended with 5 liters to 47 liters. The top lid is adjustable in height so it fits the small and light version. The opening at the top is spacious, easily accessible and has an easy and fast open / close system. In addition, a compression band has been placed to keep the top well together. 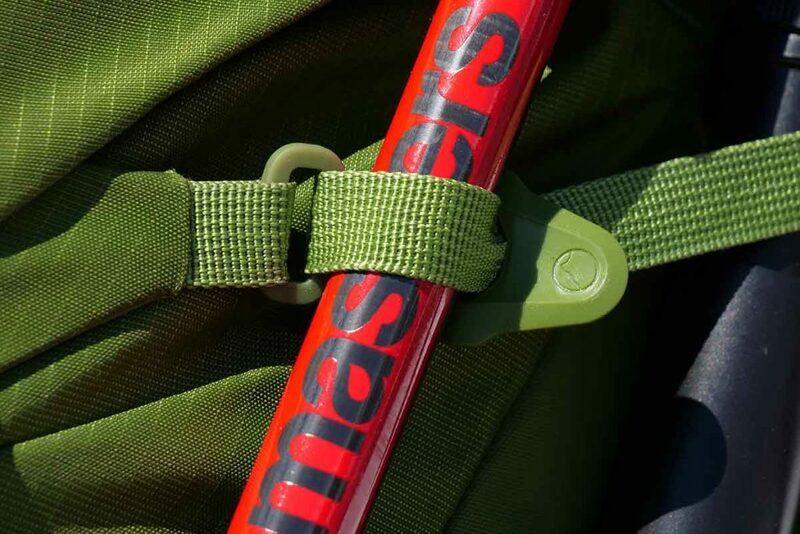 This strap is also useful if you want to wear on top of a tent or a climbing rope under the flap; with the compression band you secure the case properly. The main compartment can also be divided in two with a zipped in subdivider at about one third of the bottom. This can be useful for storing for example your sleeping bag or your dirty laundry. But… I think the backpack is actually too small for such a compartment. 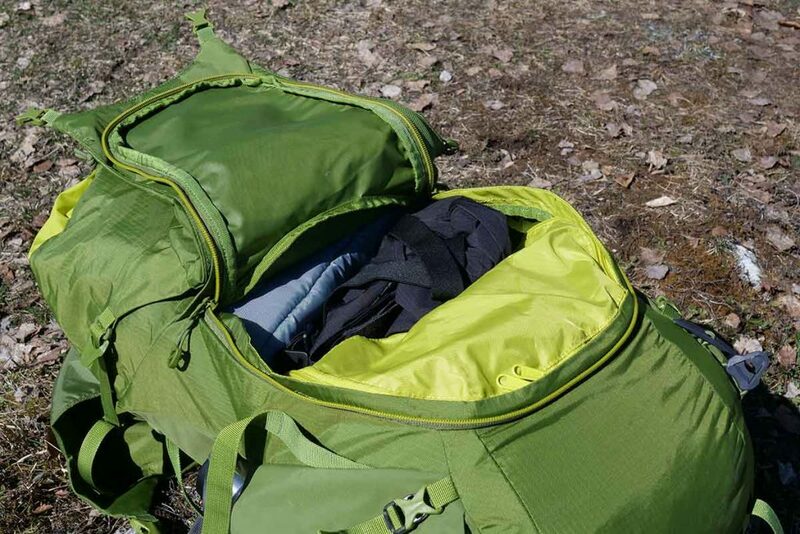 Especially because the main compartment doesn’t have – in contrast to much larger backpacks – an opening at the bottom to access the lower compartment. The way to access the bottom part of the pack is by putting the backpack on its back. You then have a large U-shaped opening with a zipper on the top. This way you can reach the bottom compartment and the stuff in the middle of the backpack and you don’t have to take everything out through the opening at the top. In the ‘flap’ of this U-compartment there is another compartment with zipper. 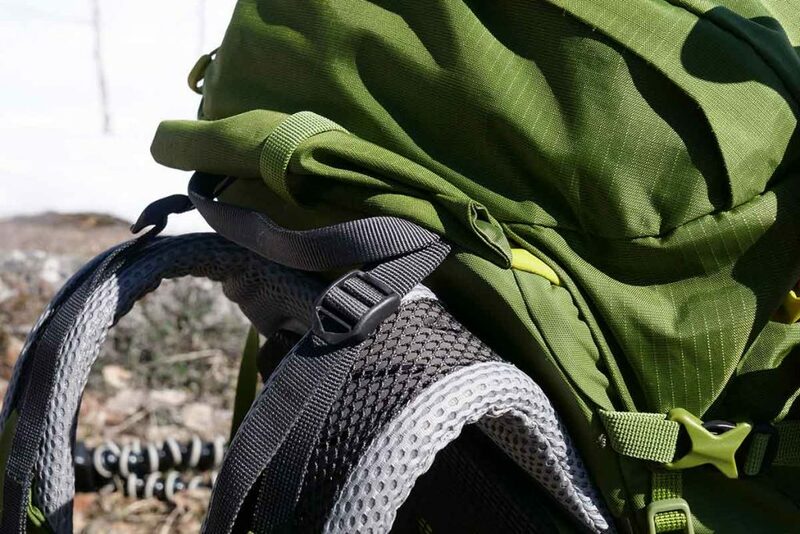 There are two compression straps between the U-compartment and the bottom of the backpack. These not only ensure that you can compress the underside, but also remove the tension from the U-zipper if you overload the Altus. The main compartment can also be divided in two with a zipped in subdivider at about one third of the bottom. As stated, the top lid is height-adjustable. The top lid compartment has two compartments: one on the outside and one on the inside. The outside one is the largest and great to use for stuff you need quickly. I always use it to store my sunscreen, sunglasses, hat, gloves and some small money. The compartment on the inside is good for passport and wallet. And… Since there is a keychain this is also the place for the car keys. I really like the attention Lowe Alpine gives to safety. The emergency signals are printed on the underside of the top lid. The top lid compartment has two compartments: one on the outside and one on the inside. The emergency signals are printed on the underside of the top lid. The Lowe Alpine Altus 42:47 has a pocket on the inside for a hydration blather. The opening for the hose is on the right-hand side. I think it is a pity that there is not a opeing on the left, because for left-handed people a right opening is really less practical. 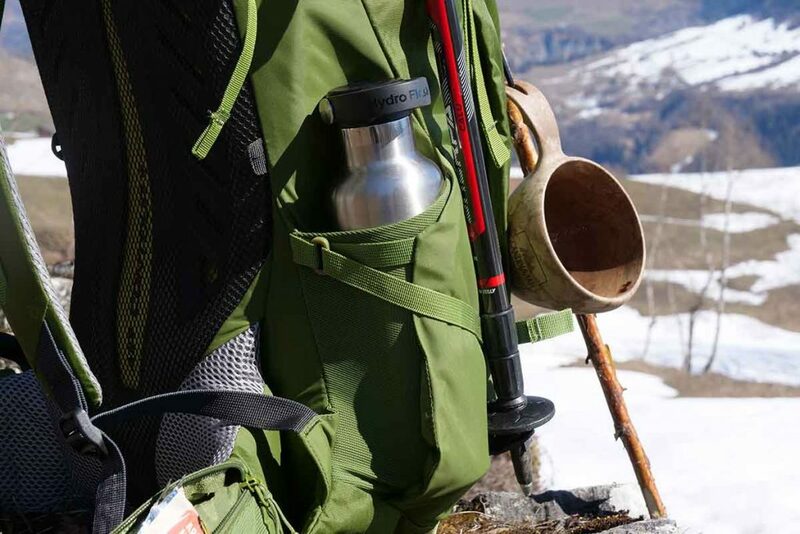 On both sides, the Altus has two deep storage compartments for water bottles or thermos. The compartments are very upright, making it quite a difficult – if not impossible – to take out a bottle while walking. This is awkward. Really great is that you can secure the bottles very well with a compression strap; that a bottle falls out during a climbing passage is impossible. The Lowe Alpine Altus 42:47 has only a hydration opening for the hose on the right-hand side. The bottle-holders are very upright, making it quite a difficult to take out a bottle while walking. At the front the Altus has a large stretchy compartment with mesh and a drainage hole. This is an excellent place to store a rain jacket. You just take of the pack and grab it. It is also a place to store wet stuff like a towel or socks. On both sides of this compartment Daisy Chains provide a good way of attaching more stuff to the outside of the pack. I always use it for my Kupilka mug hanging on a carabiner. More storage you fin on the hip belt: two flexible mesh pockets with zippers. I always put a Labello lipstick and something like a muesli bar in it. According to some, this is also the place for your smartphone. Don’t! The curvy hip belt can damage your phone if there is too much pressure on it. 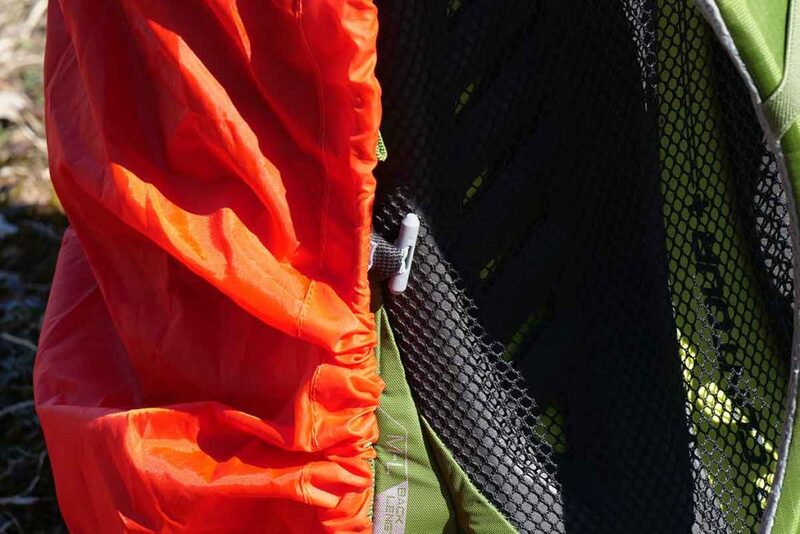 The rain cover is hidden behind a zipper in the bottom of the Lowe Alpine Altus 42:47. This cover is bright orange, which is excellent in case of bad weather and / or an emergency situation. 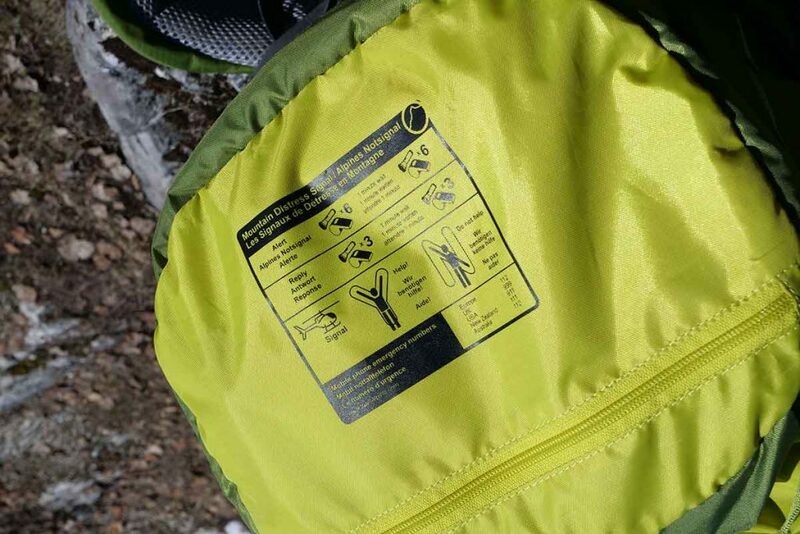 The cover can be tightly connected to the backpack with a drawstring. Very good is the attachment halfway the back of the Altus with which the cover is attached to the backpack. This prevents the cover to blow open under windy circumstances or unintentional rain getting into the cover. 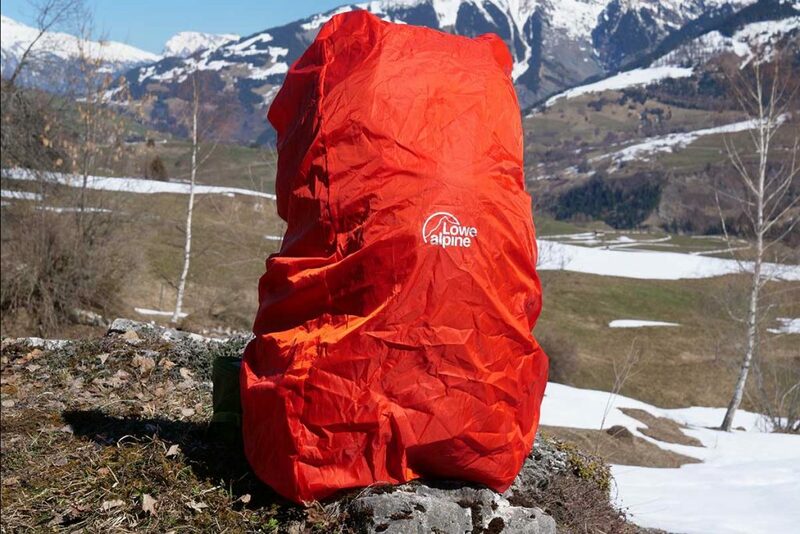 The Altus 42 raincover is bright orange, which is excellent in case of bad weather. 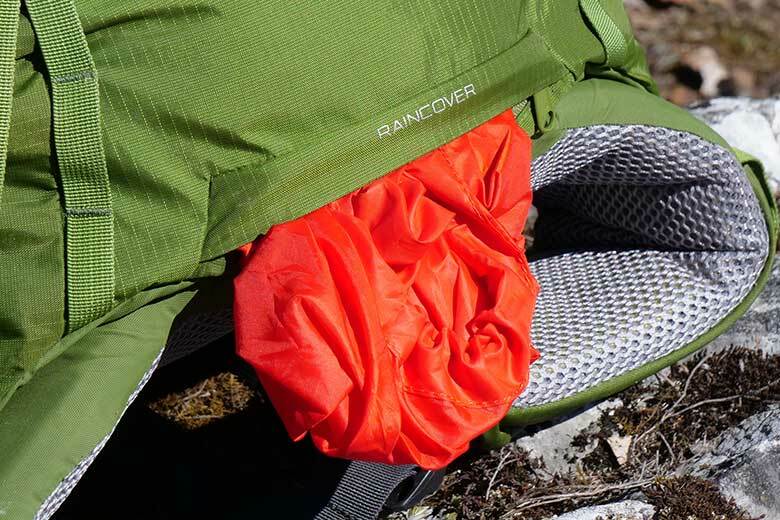 The raincover can be attached to the pack. The Lowe Alpine Altus 42:47 is a real backpack for serious (winter) trips. 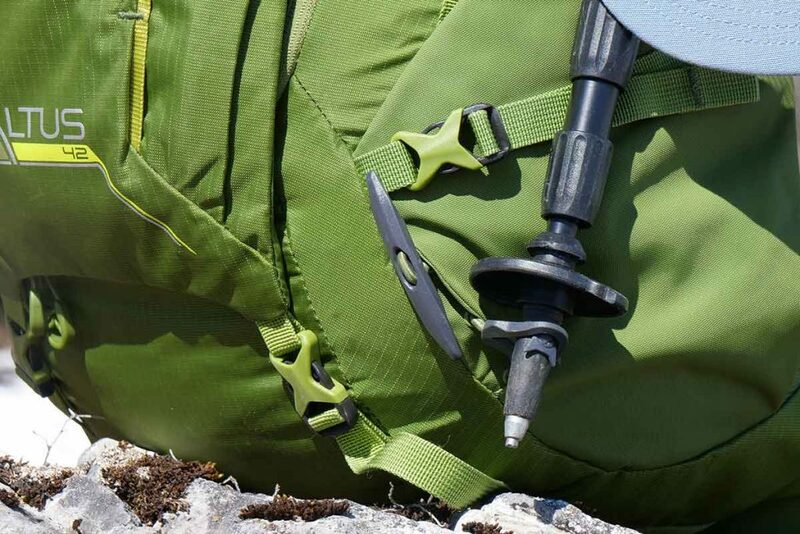 The pack is equipped with attachment points for pickles, ice axes and trekkingpoles. The first two get a sort of clip system, but I have not tested this since I am not a climber. The pole attachment system is even more beautiful. At the bottom the tip of the poles go in a plastic ring so that the point is secure. At the top you have the option to store the poles behind the compression strap or – even better – in a dedicated loop in that compression strap. With the latter method, the poles are guaranteed to be completely secure even while standing on your head. The disadvantage is that grabbing your poles while walking is not possible. You have to take the pack of. 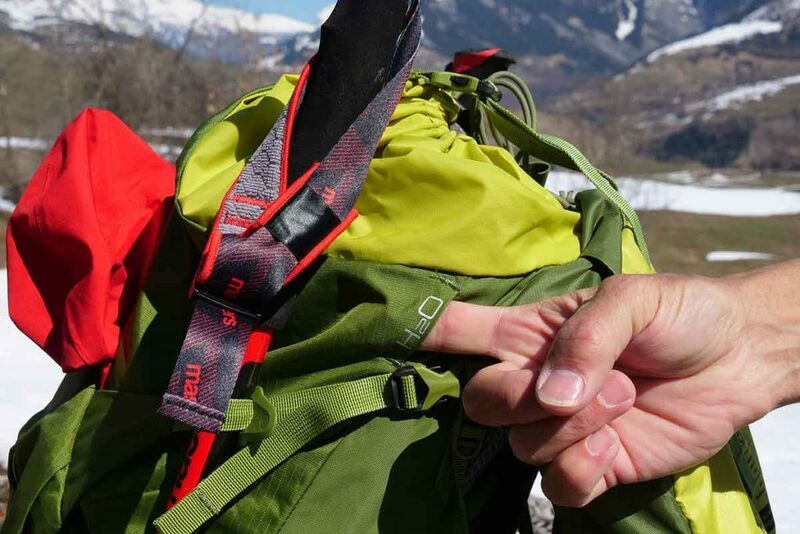 Skis can be stored under the compression straps on the sides of the backpack. The top pole attachment is a loop in a compression strap. At the bottom the tip of the poles go in a plastic ring so that the point is secure. The entire Altus series is equipped with the Air Contour + carrying system. The visible part of the back consists of a ‘foam’ plate with a mesh structure over it. That foam plate has a wide vertical opening in the middle and several horizontal small ones on the sides. 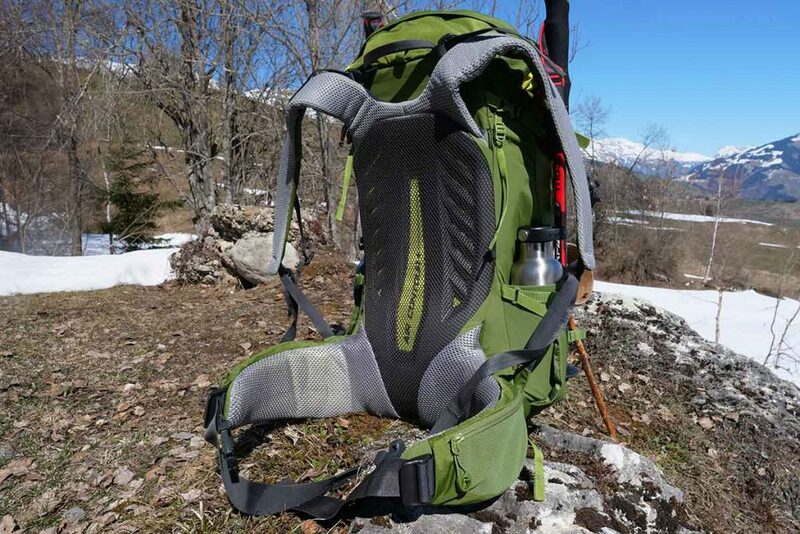 The first ensures that the backbone remains free of pressure from the backpack and gets all the freedom of movement it needs for Alpine tours. The rest provides ventilation. Behind the back is a large slab of Velcro. This fixes the back to the shoulder straps. By loosening this you can put shoulder straps higher or lower and thereby adjust the back length of the Altus. I am testing the M-L version here and it is adjustable from a minimum of 48 cm to a maximum of 53 cm. If you look a little further behind the Velcro you also see the ‘invisible’ part of the back: two 15mm aluminum rods form the backbone of the backpack itself. 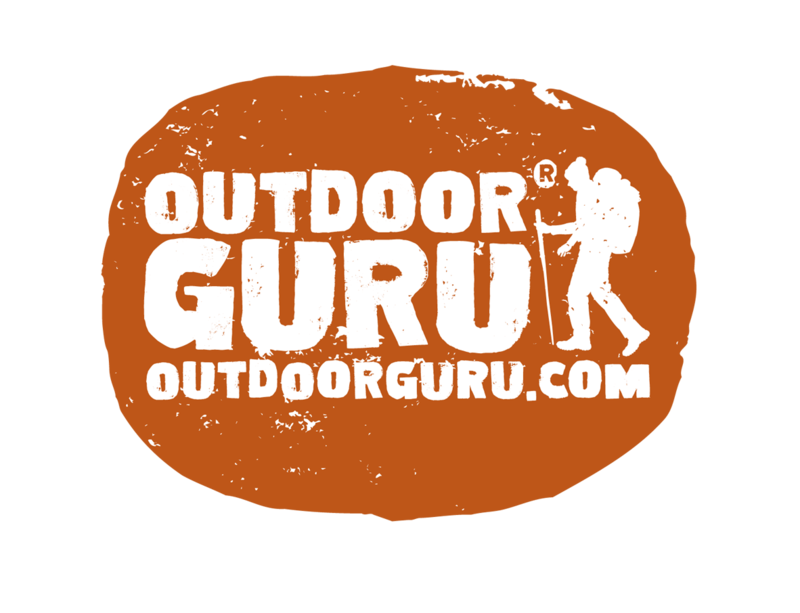 The Air Contour + carrying system is a close contact system and is excellent in the mountains. The shoulder straps are firm padded and have ventilation slots for the necessary cooling at warmer days. The shoulder straps are equipped with load lifters and a chest strap – with emergency whistle – prevents the shoulder straps from accidentally sliding sideaway. The adjustment system with a wedge (see photo) works great. The pre-formed hip belt is comfortable thanks tot the thick and sturdy foam. Thanks to the wide adjustment possibility, few people will not fit the pack. The shoulder straps are equipped with load lifters. I have been able to use the Lowe Alpine Altus 42:47 for two months and I like the backpack. The biggest plus is the carrying system. I like close contact backpacks because the sit securely on my back and they follow the movement of my body while walking and scrambling. Some very airy packpacks don’t do this. Despite attempts to ventilate the back of the Altus I ended up with a wet back on more challenging hikes. But I prefer that to a backpack with a super ventilating back that is 10 cm from my back. That is just not good for the balance! The adjustment options of the carrying system are excellent and the whole is comfortable to wear. The highly contoured and solidly designed hip belt ensures that you can load the Altus with a fair amount of weight. I walked with 15 kg and that went fine. The entire Altus series is equipped with the Air Contour + carrying system. The Lowe Alpine Altus 42:47 is largely made of 210 denier Robic Ripstop nylon while the bottom and sides are made of heavier 450 denier nylon with a Hydroshield water-repellent coating. For a backpack these are quite heavy materials and that is good for the durability. Something Lowe Alpine is already known for. 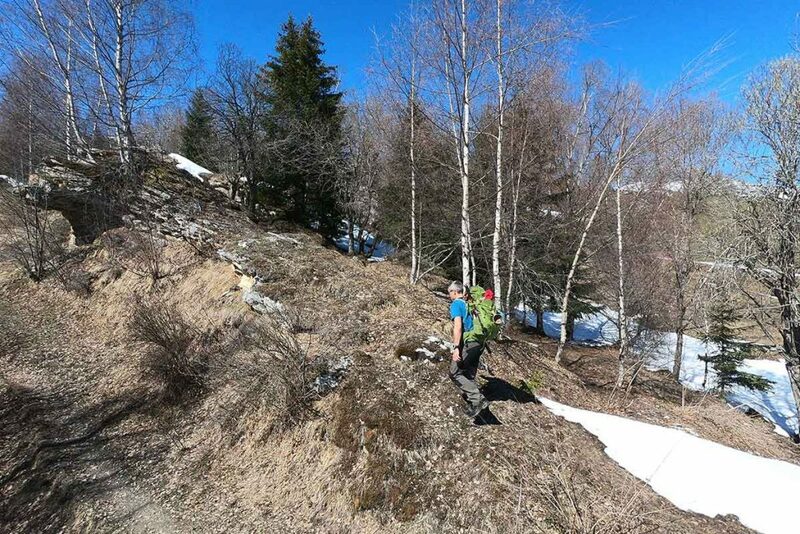 Lowe Alpine still has a way to go in the choice of sustainably produced materials. 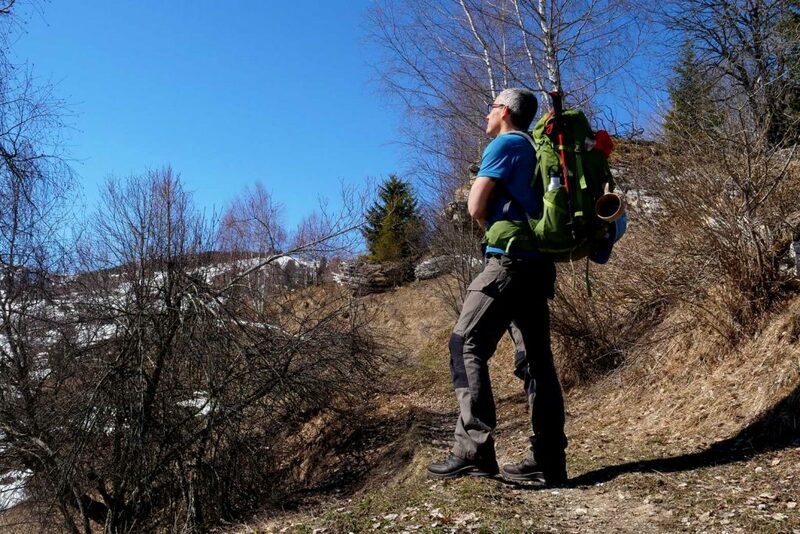 Given the materials and all the features of the backpack, the weight of 1702 grams (on my calibrated scale, Lowe Alpine claims 1700 grams) can be explained, but it is on the high side compared to the competition. I am Gijs. 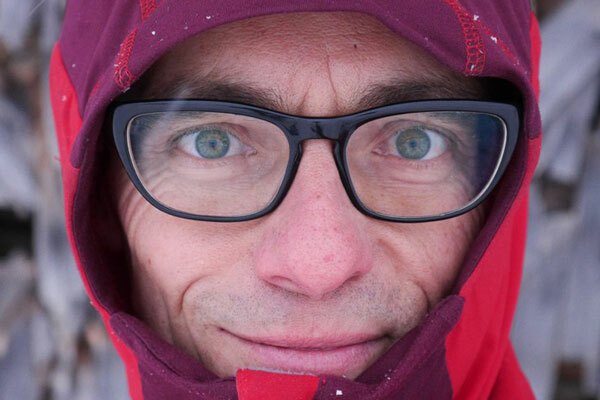 I am a 100% INDEPENDENT outdoor gear and bike journalist and YOUTUBE is my main channel. Hop over and have a peek at my videoreviews and if you like what I do: please SUBSCRIBE to support independent reviewing. I am NOT PAID for what I do and I don't have affiliate deals. I don't have advertisements on my website and I don't sell anything. Many, many thanks in advance!